The most important segment of this 48-minute piece may be the section that one can’t hear. The opening is so quiet that it falls into the realm of silence, although it is not silence, but a seeming void from which sound will eventually emerge. This segment of the composition echoes its inspiration, which is the mourning for lost mothers. At first, there seems to be silence, but the voice of the loved one continues to speak; only after some time has passed can one hear the utterance. Yann Novak‘s compositional preference has always been the extended tone, with gentle modulations. Whether one meditates to such sounds or falls fast asleep depends on the listener’s approach. One should not listen while tired, because one will miss things: the gradations of color and motion, the slow tumble of sounds that reflects the turning of emotions ~ sadness to acceptance, stasis to movement, tragedy to tribute. Sometimes the turning of a page is imperceptible. The digital era allows us to test this with aplomb simply by moving the play cursor, the modern equivalent of dropping the needle further into the record. Yes, this section is different from that section, but how did we get here? Yes, we are subtly changed by a loss, but how? Even the cover image reflects this idea: can we pinpoint the exact spot in which grey turns to white? The dedications are important, so we list them here. The album was released on the tenth anniversary of Novak’s mother’s passing, “and is dedicated to Eva Shao-Huai Blum, Andrea Breiding, Ingrid Ann Buslee and Donna Lynn Cameron.” Names are an integral part of our continued memory. In its earlier form, We Love Our Parents, We Fear Snakes was part of an installation that included interpretive dance: a combination of disciplines that honored the sense of stillness created by mourning, as well as the more peaceful inner stillness that might someday arrive. The composition invites listeners to listen carefully, dancers to move deliberately, viewers to watch patiently. Hopeful clusters of notes begin to appear midway through the piece, and even birdsong. The cloudy drones recede, although they never entirely disappear, just as a loss is still a loss, even after time and grace have woven protective layers around the mourner. At some point, the musician must complete the song, the dancer must finish the dance, the attendee must return home. Yet the loss – and by extension, the art that stems from the loss – is never forgotten. We Love Our Parents, We Fear Snakes originated as a sound and movement performance by Marbles Jumbo Radio and Yann Novak inside Johanna Breiding installation of the same name. The installation was created as an intimate gathering space — foyer/drawing room/death room/living room — for queer-identified performers to explore traditionally familial spaces and experiences of mourning. Breiding invited Marbles and Novak to collaborate on the project and culminating performance because of their mutual experience of loosing their mothers. The project was part of Women’s Center for Creative Work’s Parlor at the Armory residency program. 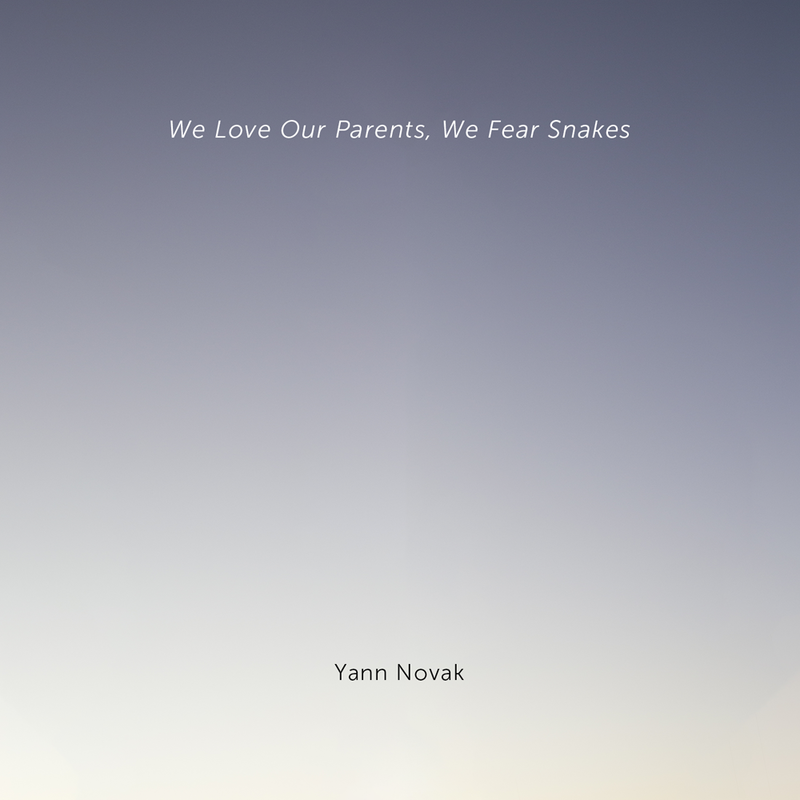 We Love Our Parents, We Fear Snakes is a free download of Novak’s sound performance released on the 10 year anniversary of his mothers passing and is dedicated to Eva Shao-Huai Blum, Andrea Breiding, Ingrid Ann Buslee and Donna Lynn Cameron.